While the stories of Lyra and Gemma mirror each other, each contains breathtaking revelations critically important to the other story. Using hotlinks in this electronic edition, readers can decide how they would like to read the book, as with the print version. They can read the story of Gemma or Lyra straight through first, followed by the other girl's story, or they can move between chapters in Lyra's and Gemma's sections. 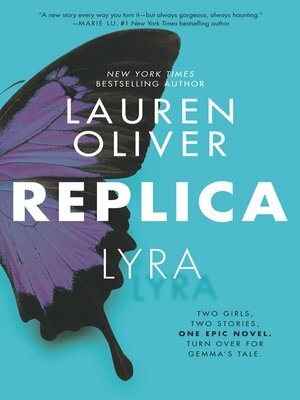 No matter how it is read, Replica is an ambitious, thought-provoking masterwork.